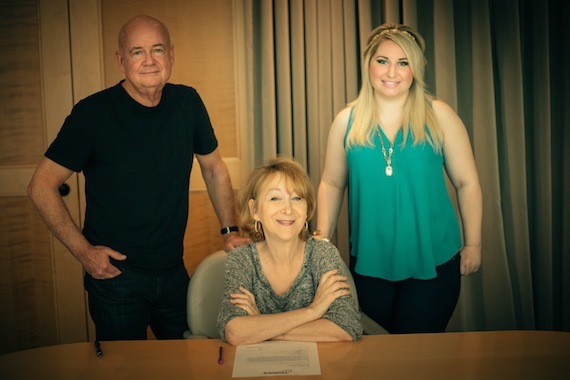 Starstruck Writers Group has renewed its worldwide publishing agreement with songwriter Liz Hengber. Hengber has an impressive list of credits that go back 25 years. She’s written five No. 1 singles and had over 75 songs recorded by artists including Reba McEntire, Vince Gill, Easton Corbin, Trisha Yearwood, Andy Griggs, Peter Cetera, The Steeldrivers and many more. Her most recognizable songs include “And Still,” “For My Broken Heart,” “Forever Love” and “It’s Your Call,” all recorded by Reba McEntire. In 2011, Hengber won Song of the Year at the Canadian Gospel Awards for “A Fathers Love” recorded by both Bucky Covington and High Valley. This year she had two songs on The Steeldrivers’ Grammy Award-winning album The Muscle Shoals Recordings. Hengber also co-wrote Ronnie Dunn’s current single, “Damn Drunk” which features Kix Brooks. “I’m so excited to be working with Starstruck Writers Group again. It was my first publisher and in truth it feels like home,” Hengber said. “We are thrilled to continue working with Liz Hengber. I’m always blown away by the incredible ideas that she brings to life in her songs and her unique approach to storytelling through her lyrics,” said Courtney Allen, Creative Director at Starstruck.